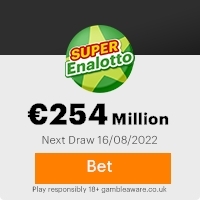 This result is now released to you on 4th October, 2007 and your email address attached in the Match 6 bonus ball 7, 13, 31, 43, 45, 47 and bonus ball 23 participants were selected through a computer ballot system drawn from Microsoft users from company and individual email addresses users. Winnings was deposited with them. For the release of your winning, kindly contact the office of your claims agents in the ESPAÑA MUNDO EURO MILLONES S.A Head Quarters Mr. Martin Ortega on Tel: +34-664-159-492, Fax:+34-911-814-263. You are also advised to contact your claim's agent via email: laoriental2007@gmail.com, you are to quote your lucky number for confirmation on your winning and submit your information in the form below. "PLEASECOMPLETE FORM AND SEND BACK"
All winning must be claimed not later than 27th October 2007. After this date all unclaimed funds will be returned to European Union Treasury as unclaimed. Please note in order to avoid unnecessary delays and complications please remember to quote your reference number in all correspondence. Congratulations from the staff and thank you for being part of email account users program. Dr. P. Swier, Mr. Gerald Goodman (Manager Foreign Operations), Mr. Franklyn Van Der Weijden (Manager Domestic Banking Operations), Dr. James Williams (Director International Credit Department), Mrs. Sandra Murphy (Executive), Mr. Michael Cole (Executive), Mr. Stephen Boer (Chairman). Copyright © 2007 ESPAÑA MUNDO EURO MILLONES S.A MRS JULIE VAN HANS. This Email with the Subject "RE: AWARD NOTIFICATION/ FINAL NOTICE" was received in one of Scamdex's honeypot email accounts on Thu, 04 Oct 2007 03:48:23 -0700 and has been classified as a Generic Scam Email. The sender shows as julie van hans <espanamundoeuromillones02@hotmail.fr>, although that address was probably spoofed. We recommend that you do not attempt to contact any persons or organizations referenced in this email, as you may expose yourself to scammers and, at the very least, you will be added to their email address lists for spam purposes.